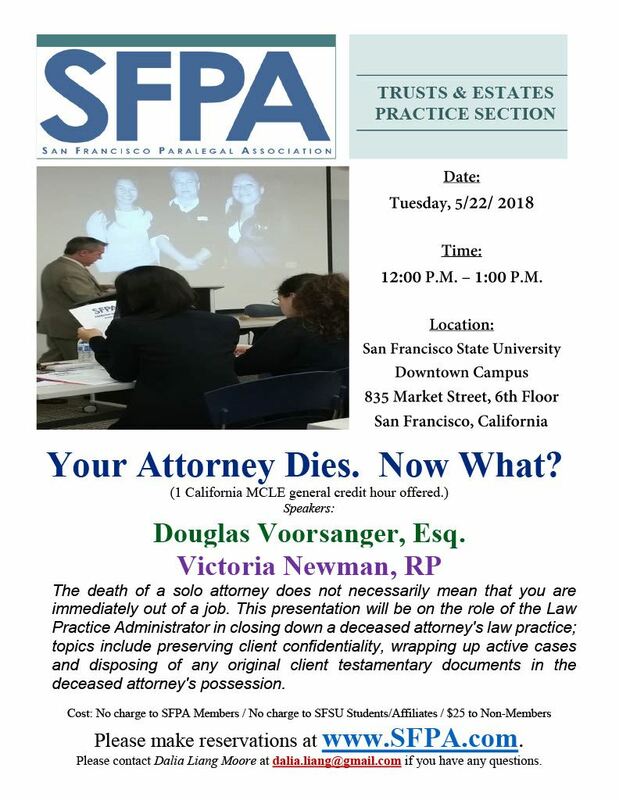 San Francisco Paralegal Association - Your Attorney Dies. Now What? Your Attorney Dies. Now What?